GARDAÍ HAVE LAUNCHED an investigation after the body of a 67-year-old man was found on the side of the road in Cork this morning. The body was discovered at around 9.30am on the road from Castlecor to Johns Bridge at Ballybane, Liscarroll. Gardaí suspect that it could be a hit-and-run incident, but are investigating all possible circumstances. The scene has been preserved for a technical examination and the Office of The State Pathologist has been contacted. The body remains at the scene. 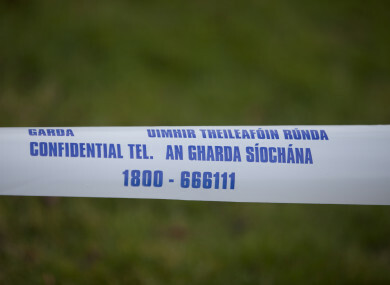 Gardaí are appealing for witnesses who may have travelled this road, Castlecor to Johns Bridge, between 10pm last night and 10am this morning or to anyone who can assist with this investigation to contact Mallow Garda Station on 022 31450, the Garda Confidential Telephone Line on 1800 666 111, or any Garda station. Email “Body of man (67) found on side of Cork road in suspected hit-and-run”. Feedback on “Body of man (67) found on side of Cork road in suspected hit-and-run”.